This year’s record-breaking warm, dry summer gave grape-growers and winemakers a sweet taste of what climate change has in store for Nova Scotia. That heat came just after a freeze in early June—late in the season for a frost so severe—offered another, bitter, glimpse at what climate change will look like in our vineyards. Wuhrer farms grapes at his family’s Stonehill Vineyard in Kingston in the Annapolis Valley. 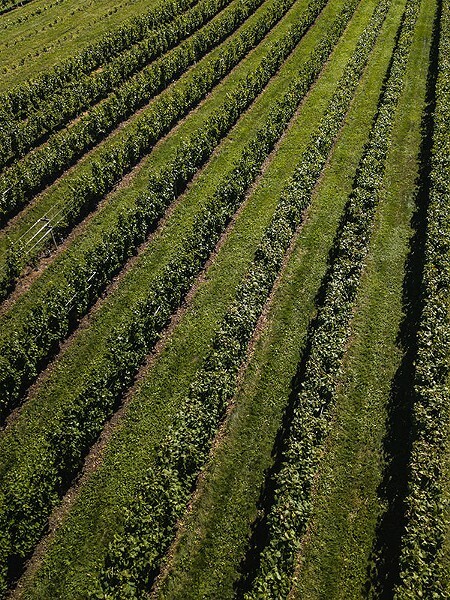 His father Walter, one of the three founders of the Grape Growers Association of Nova Scotia, planted the vineyard in 1983, on a south-facing slope on North Mountain. According to climate models, warm is where we’re headed in Nova Scotia, with an increase in heat units during the growing season, gains in the number of frost-free days and fewer cold snaps in the winter. 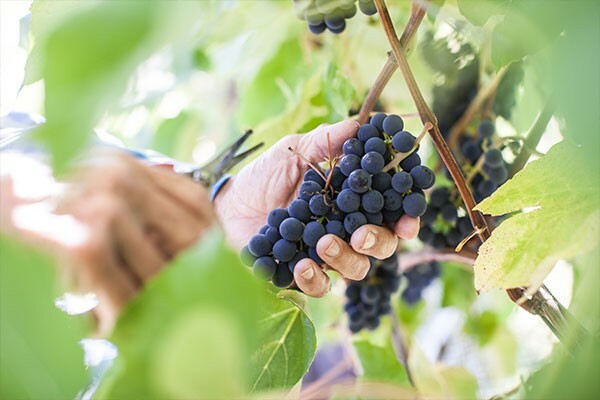 These three trends were highlighted in a study released by the Nova Scotia Federation of Agriculture in March, but they have also been observed and anticipated by our grape growers. John Warner of Warner Vineyards, the largest producer of wine grapes in Nova Scotia, says that the shift in varieties appropriate to Nova Scotia’s climate has been anticipated for a number of years in several of the province’s vineyards. “Climate change is occurring and opens up the possibilities for a greater range of quality grapes in the region,” he writes in an email. Drier summers also bring “a unique opportunity for stressing plants into better wine grapes,” says Sean Sears of Petite Rivière Vineyards on the south shore, acknowledging that too much drought brings its own complications, like the need to invest in irrigation infrastructure (which is previously unheard of in Nova Scotia vineyards). Sears also points out that Petite Rivière is a winery and will therefore weather the economic impacts of the June frost because of its inventory, but grape growers who have one shot at nurturing grapes through to harvest will be much more deeply hurt by such extreme weather events. Such “extremes in temperature occurring at critical times in the growth cycle of the vine” will likely become more frequent with climate change and need to be planned for, according to Warner, who considers himself lucky that damage from the June frost will only reduce his crop this year by 15 to 20 percent. Some growers were not so lucky, and the frost damage will impact their vines even into next year. But many report that their vines have bounced back, helped along by the ideal conditions of summer and fall. “We fertilized and did other things, and we will have a crop, but not a big one,” says Corkum. 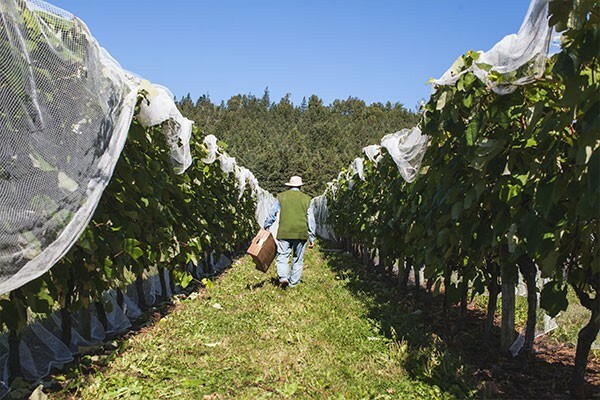 “Much of our vinifera is older, and had seen hardship in the past, and is now seeing good recovery,” says Scott Savoy, vineyard manager at Benjamin Bridge.“It’s in a good place for next year. With no fruit [this year], all the plant’s energy is put into wood and cane.” Thanks to its relatively large distance from the moderating effects of the Minas Basin, Benjamin Bridge was hit hard by the freeze in June. These climate change-induced hardships are mild compared to some of the world’s more established wine regions, which collectively reported a drop of five percent in wine production in 2016 as a result of global warming, according to researchers at Brock University in Ontario. Greece has seen lower productivity from labourers because of extreme heat, especially during harvest. Rising temperatures increase sugars and decrease acidity in grapes to such a degree that some European wine countries are considering until-now banned additives to keep their wines within social (and, often, legally) acceptable style. California wines are suffering from premature harvests yielding flavourless grapes and smoke taint from firestorms. Hail in Burgundy has led growers there to install a “hail shield” over the entire region, where generators blast particles of silver iodide into the air to prevent storm clouds from forming. 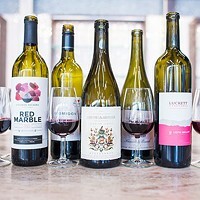 A condensed growing season in Australia stresses winery equipment and winemaking logistics, with some wineries needing to refrigerate grapes for long periods before they can be processed. As some of the world’s best wine regions become too hot or dry or hail-struck to grow good grapes, we see vineyards migrating, vying to take a place among new ecosystems and human populations. Habitat, soil health and freshwater supply will all feel the pressure to varying degrees, depending how these vineyards are managed. And, in the process, new regions for grape growing emerge, contributing fresh terroir to the world’s wine library. 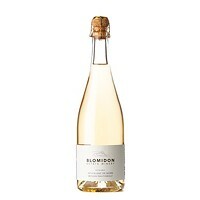 Nova Scotia is one of these emerging wine regions, and this is largely due to a dedicated network of people capitalizing on our relatively cool, northerly climate—moderated by water on all sides—and taking advantage of a growing demand for low-alcohol, premium wines. In terms of the risks to the wine industry due to climate change, Nova Scotia is also uniquely situated to weather the storm. Too much heat reduces acidity in grapes. Acidity is an essential ingredient for any wine—it gives space and integrity to all the other flavours and sensations we love. 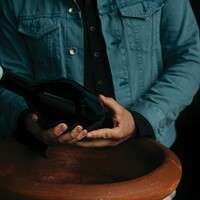 Acidity—a big part of the freshness Deslauriers mentioned—is the hallmark of Nova Scotian wine; It is precious, and nobody wants to lose it. Water—a big contributor to climate moderation—may be our saving grace, but sea surface temperatures around Nova Scotia are heating up. The Gulf of Maine is one of the fastest-warming bodies of water in the world, warming seven times faster than the global average, leading to warm overnight temperatures (that lower acidity in grapes), high humidity (that breeds disease) and more tropical storms (that cause damage to vineyards). The most consistent message from grape growers is the uncertainty ushered in by climate change. “I don’t know what to do, because you don’t know what’s coming,” says Wuhrer, adding that he will likely install more sturdy trellises because of high winds in his vineyard. Stories from around the world about grape growers meeting climate change’s various challenges reveal creativity and technological sophistication. Some are also choosing to become part of a more systemic reaction to climate change, reducing their ecological footprint and initiating conservation and sustainability projects. Many are doing both, recognizing that organic and biodynamic farming methods yield resilient crops and help mitigate a farm’s carbon footprint. But climate change threatens even these choices. Historically high humidity in Germany, for example, has led some organic grape growers to turn to conventional farming, because they can’t stay within their certification requirements and effectively battle the new fungal diseases in their vineyards. Still, Wright believes the farmer’s role is to keep track of weather patterns and try to make sense of the way things unfold. Moira Peters lives, writes and chases her daughter around a vegetable farm on the Bay of Fundy. 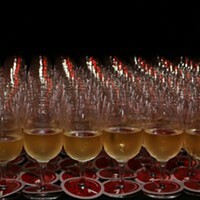 She occasionally leads tasting parties for people who like to learn about the world through wine. 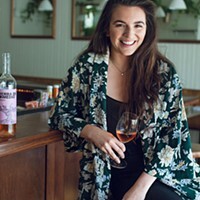 Jessica Babin’s wine club brings women together to get more comfortable and confident around the drink. 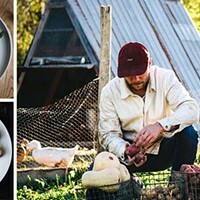 Chef Justin Floyd is letting the space help dictate the food at Newport Landing’s winery and its soon-to-be events space, Mosher House.